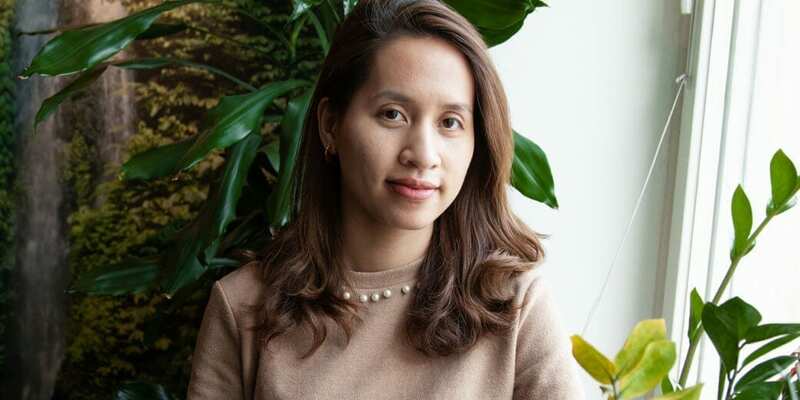 After finishing her Masters in Information and Service Management, Huyen Vu approached finding a career quite practically. She saw that Finland had a demand for talent in the data science field, and she had some training and interest in business analytics. It seemed like a good fit, but there was a problem. Huyen’s educational background was in business. “I wasn’t even studying technology or computer science,” she said. When she started looking at job descriptions, she saw that data science programming skills like Python and SQL were in high demand. She knew she needed to beef up her technical and programming skills to make herself a more attractive job candidate. That’s how she found Dataquest. Searching for ways to learn data science online, Huyen had come across some other resources, but none seemed the right fit for what she needed to learn. After trying out one of the free introductory courses, Huyen jumped in and started working through the data analyst path. After completing a handful of courses and earning the Python and SQL certificates, Huyen began looking for jobs in the data science industry — specifically jobs requiring her recently-learned data science skills. “I put my new skills on my CV and I feel like I got more interest because many companies in Finland are looking for Python and SQL,” Huyen said. She ended up landing a job as a data management specialist with a procurement analytics firm. In this role she works to classify, consolidate, and validate data, and she says that the skills she learned from Dataquest have been useful. As someone who’s successfully navigated the job search landscape and gotten her foot in the door of data science, Huyen recommends her approach to other learners looking for find employment. “Really, self-study the skills that the market is looking for,” she advises.